On the heels of Cash for Clunkers and riding the tide of heightened interest in product safety, Toys R Us is making an unusual offer: Bring in your used cribs, car seats and other baby products and get a discount on new ones. Bring in these products and you'll get 20% off in certain categories and only from certain manufacturers. For Toys R Us, it's a good way to get publicity and potentially do some good. Although the Consumer Product Safety Improvment Act is intended to largely cut off sales of dangerous used products, they are still passed along or sold beyond detection at neighborhood yard sales. Only a small portion of recalled products are typically accounted for even in the most deadly situations -- such as cribs or play yards that led to multiple deaths. So, offering an incentive to potentially take some of these products out of circulation is laudable -- even if it's ultimately an economic stimulus for a big company. "I think this is one of many actions needed to get older, unsafe or recalled items out of use," Nancy Cowles, executive director of the safety advocacy group Kids in Danger told WallePop. "I appreciate Toys R Us addressing the issue." She suggests consumers check whether the item they are intending to trade is recalled. "If the item is recalled, the recall remedy might be a better deal if it involves a refund or store credit," she said. You can search product recalls by company name here. The U.S. Consumer Product Safety Commission also applauded the promotion. "For decades, CPSC has done a good job of getting dangerous products off of stores shelves, but our challenge has been to get those same products out of consumer's homes and out of circulation," CPSC spokesman Scott Wolfson told WalletPop. 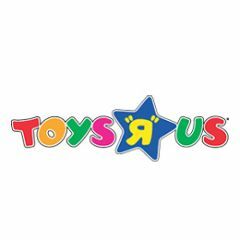 "ToysRUs is helping this effort by providing consumers with a reward for turning in those dangerous products, which will compliment CPSC's current campaign to prevent recalled products from being passed on or resold in the secondhand market. We support their initiative." The trade-in program will begin at Toys R Us and Babies R Us stores on Friday, August 28, and run through Sept. 20. Manufacturers participating in the "Great Trade-In" include Baby Cache, Babi Italia, Baby Trend, Bertini, Britax, Chicco, Contours by Kolcraft, Cosco, Delta, Eddie Bauer, Evenflo, Graco, Jeep, Nature's Purest by Summer Infant, Safety 1st and Sorelle. You can read more about the promotion on Daily Finance.